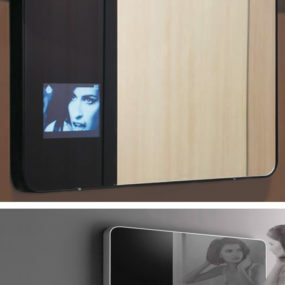 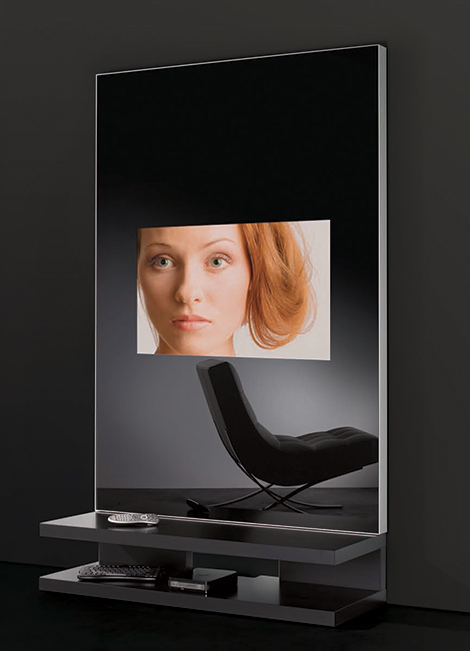 The Glass TV by AdNotam is not just a TV mirror, no, it’s a multimedia mirror wall unit complete with all connection ports and LCD Mirror TV, it’s the new type of multimedia furniture. 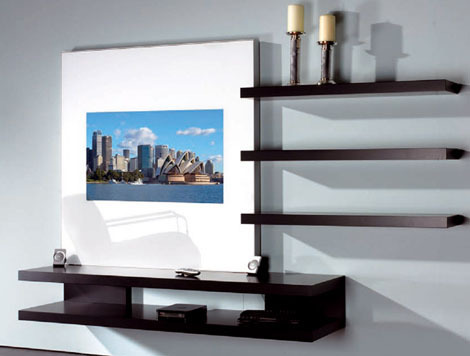 AdNotam makes these contemporary mirror wall units in several sleek styles, as a wall mounted option or with a black or white base. 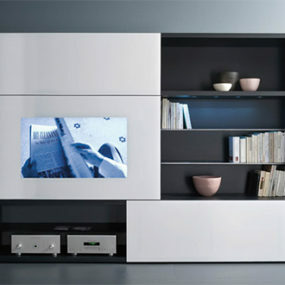 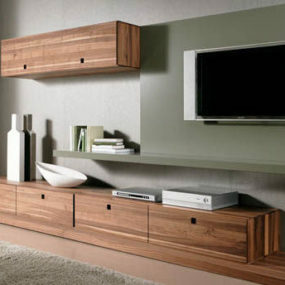 If you want your tech toys to be displayed in style, each modern unit is available with matching shelving for a complete elegant wall solution. 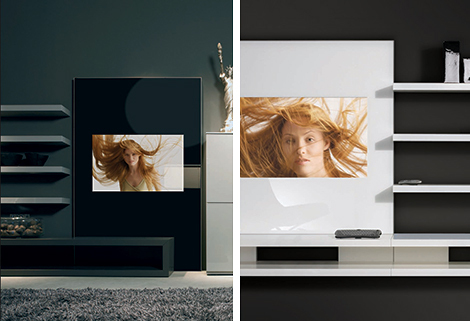 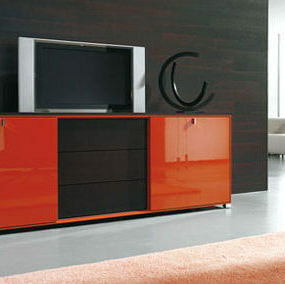 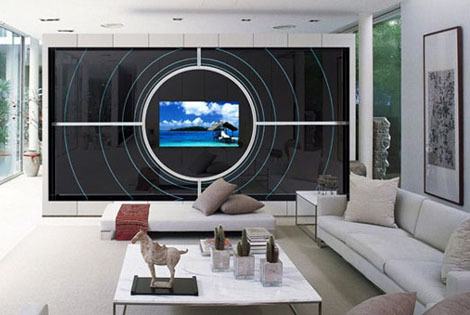 Glass TV combines high-end mirror TV technology with chic look with all functions built in. 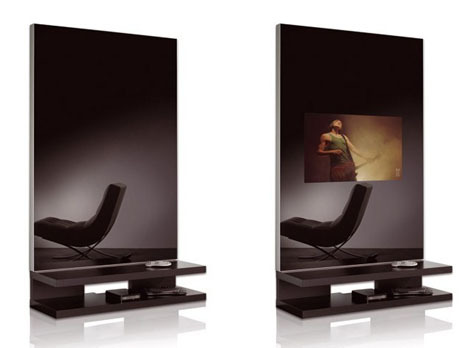 It lets you easily connect to your DVD, cable and satellite, displaying a crisp, clear, high-resolution picture to the 37- or 46-inch screen. 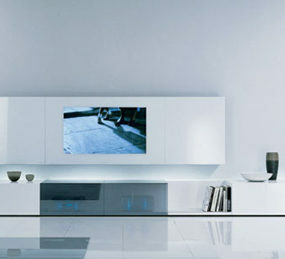 Plus the remote control. 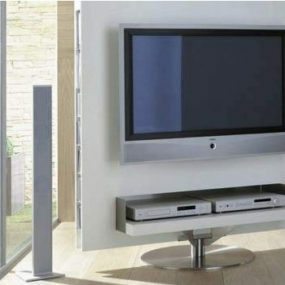 For more on this modern multimedia furniture, visit AdNotam. 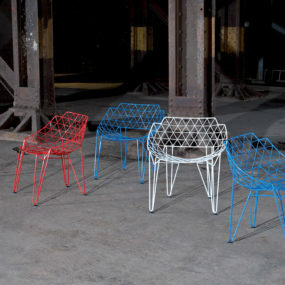 Continuous Wire Chair by Wilde + Spieth: CU!